In my previous post I talked about a regenerative planting methodology for urban landscapes, in which I suggested you would manage, rather than maintain your planting areas. So how exactly do you you do this? Both involve work and the difference is a subtle but important one, in both attitude and application. Think urban forester rather than garden pruner. The picture above illustrates this perfectly, so let me explain. It shows two hazels in my garden, both planted as young bare-root trees in the winter of 07/08. 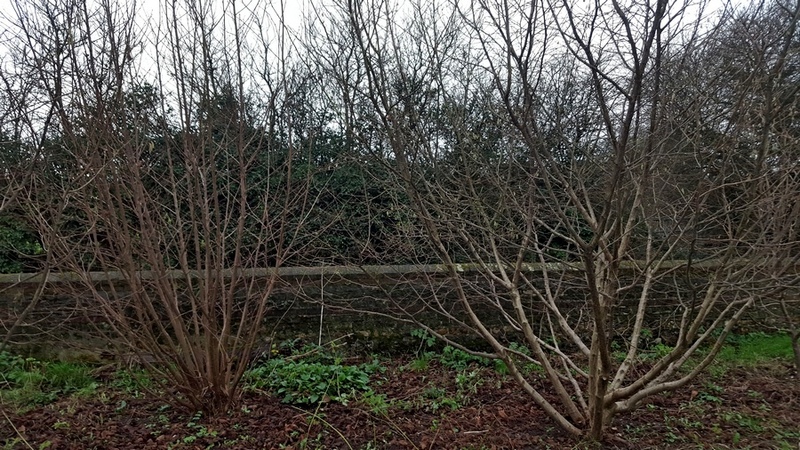 The one on the left was coppiced down to the ground in the winter of 12/13, the other has been pruned to keep a structure of older wood, with all suckering growth removed annually. What is the difference? The coppiced hazel has been less work overall and has not been touched since it was coppiced, the pruned tree has been pruned annually, which was not great amount of work but this is just one tree. If there were a hundred, it would be a different matter. The main difference is that the pruned tree has catkins, the coppiced tree does not, but I think this is a difference of genetics, rather than pruning technique, as they have always been like that. The shape of the pruned tree is also wider in its spread and will become gnarled as it gets older. So in terms of management, if you go the coppice route you do nothing much to the trees except coppice them every 4-5 years. I would suggest that 50% of the trees are coppiced so that not all structure is removed at once. Notice that the growth of the coppiced hazel is straighter, making for a productive yield of canes and poles that can be used in the local community. Other trees that can be coppiced include sweet chestnut, lime, alder, ash, willow and hornbeam. Birch and oak will coppice, but from young trees only. Willows and dogwoods grown as bushes for their winter colour can be coppiced or “copparded” (inbetween coppice and pollard) to around 300-600mm every two years to keep the winter stem colours strong. By adopting such techniques in our larger masses of urban street planting and parks, we would deliver a more biodiverse, beautiful and biophilic interaction for all concerned. 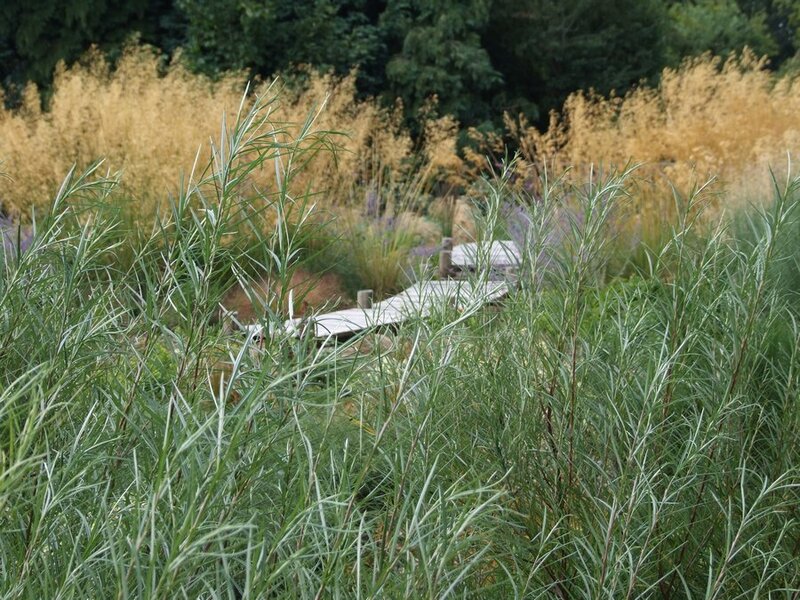 It would also cost less both to establish and possibly to maintain, than traditional planting. The above willow is beautiful and graceful, yet I have seen it all too often used in municipal car-parks and reduced to a-n-other shrub that is caressed all to frequently with the indifference of a hedgetrimmer. Time to re-wild our inner selves, and our urban landscapes. We can do so much better than the average landscape we see in our towns and cities.